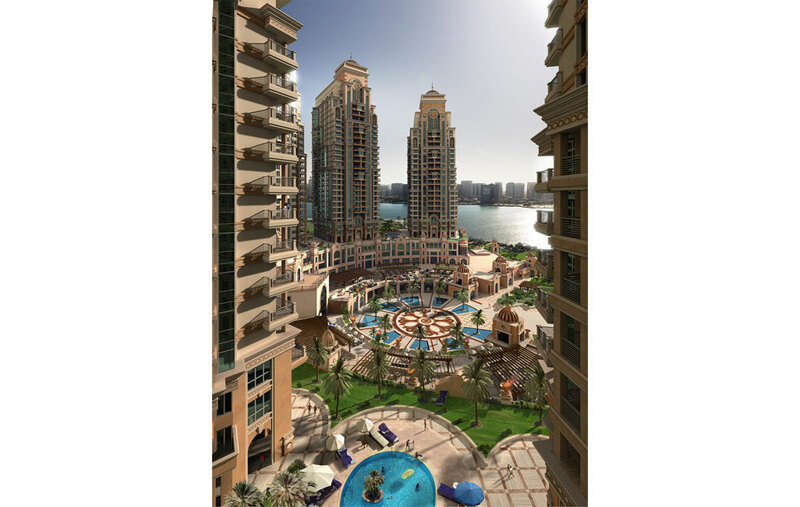 Marina City is a luxurious residential and mixed-use development by the National Investment Corporation (NIC), which is adjacent to the Marina Mall off Corniche Road in Abu Dhabi. The proposed community is part of the Abu Dhabi 2030 Plan and is intended to house 5000 residents in the prime waterfront location. NIC invited a number of prominent local architectural practices to submit conceptual creative solutions for the four precincts within their already established master plan. 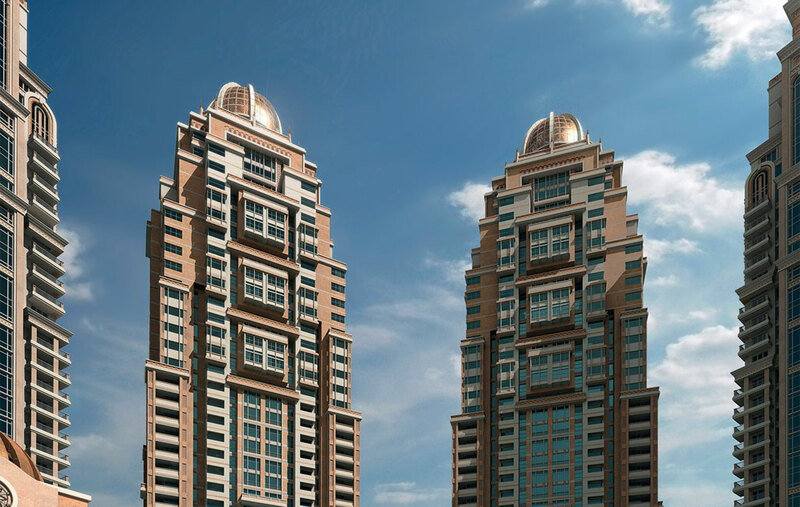 Diar Consult’s winning proposal comprises six residential towers designed in ascending building heights, from 22 to 35 storeys, all resting on a singular semi-circular podium. The successful proposal envisioned the unifying of the four precincts into an interconnected community, including retail, food and beverage outlets and offices. 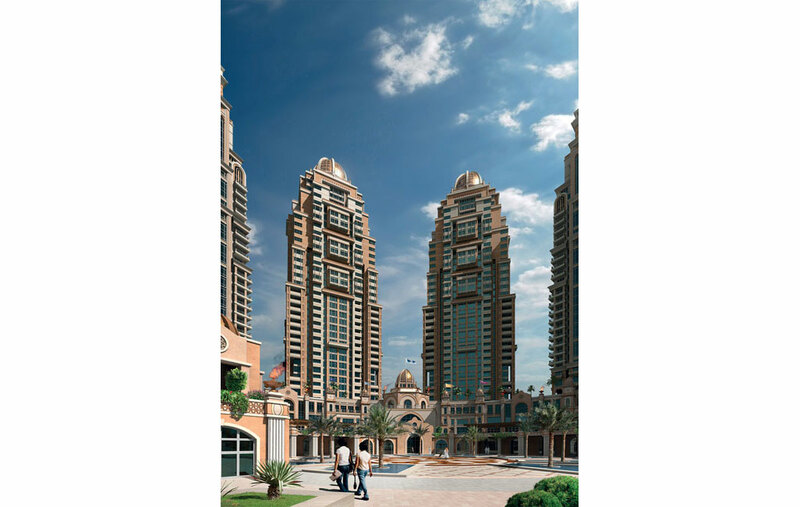 The towers are designed in a predominantly Mediterranean style, but with nostalgic hints of local Arabic heritage, such as the crowning domes and layered façades, which present residents with views and vistas of the sea and the city. The articulation of the massing successfully translated the NIC’s requirements for maximum connectivity between the community of the precinct and the city context, while defining a strong sense of place, community and territory at the local level.